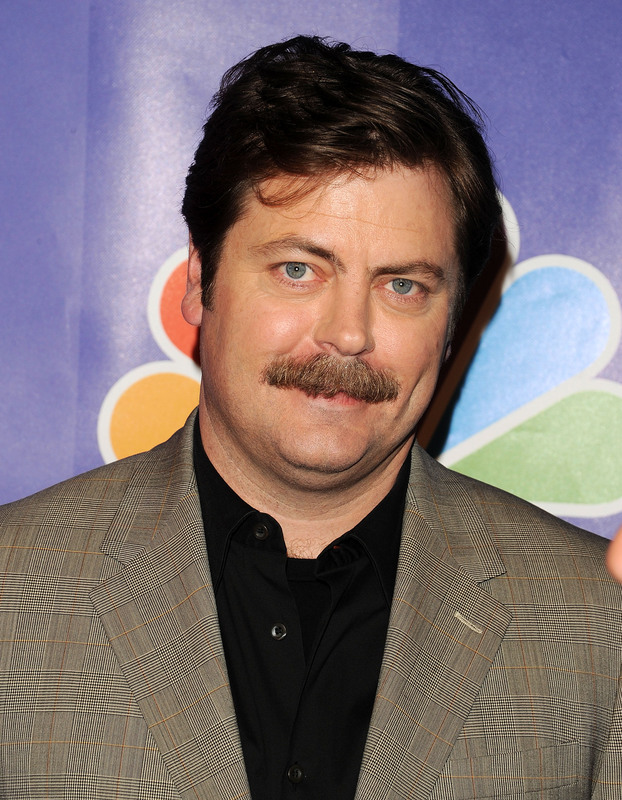 Here's a challenge for you: Go ahead and just try to name a celebrity who is more suited to teach us all about moustaches other than Nick Offerman. Tom Selleck? He was the go-to guy in the '80s, but now, Offerman's moustache is somehow bushier — therefore, he gets the honor. Luckily for all of us, the comedy geniuses over at Made Man realized this, and put together a video of none other than Nick Offerman teaching us all the history of the moustache in honor of November, or, for the moustache enthusiast, Movember. In just a few short days, men all over the world will stop shaving their facial hair to raise awareness for prostate cancer and other men's health-related issues (or just to save time in the mornings), and Offerman was recruited to talk about why this is important. And all of the stuff that Offerman says in the video? Totally true. You should all definitely write your History papers on everything that Offerman says because he is right, and your history textbook makers left all that stuff out because they were just jealous of dudes with rad moustaches. TRUE STORY. You can check out the video below. Movember begins, obviously, on Nov. 1.